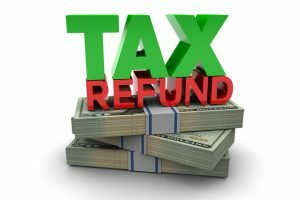 How long will your tax refund last? Will it slip through your fingers like sand, or will you be able to hold onto it and invest in something substantial? Tax refunds are like magic money. They seem to materialize without any effort on your part. And it’s tempting to blow the cash on something fun. But the fact is, you worked hard to earn that money and you deserve to get lasting enjoyment from it. A mini-storage building is a purchase that will keep paying off for decades. And putting your tax refund toward a small steel structure can have concrete benefits for your life right away. Replace old wood or plastic structures with durable steel for an instant upgrade on your property. Having on-site storage is more convenient than renting a unit from someone else and gives you a space to store items that would otherwise clutter your garage, attic, and yard. Or, you could simply make the mini-building an area for relaxation and entertainment with a few internal amenities. Remember, outbuildings in good repair that have a well-defined use routinely add value to a property. If you’ve been wanting a metal shop, woodworking space, or pottery studio so you can finally pursue the hobby of your dreams, this is the perfect chance. Having a regular creative outlet can improve every part of your life including your emotional health, immune function, relationships, and job performance. And you’re much more likely to make time in your week for creative activities if you have a space dedicated to that purpose. You’ll also enjoy the process of designing your perfect workshop with assistance from our experts. Let’s get creative together! Maybe this is the year that you’ll unleash your entrepreneurial side. A mini-storage building gives you a place to use as a personal office, warehouse and distribution center, or even a retail space (depending on zoning). Small businesses are still the lifeblood of America, employing about 40% of the workforce and keeping our economy resilient. And it’s a great time to start a business if you are in the right sector. The Balance SMB has released its top picks for types of businesses to start in 2019. You’ll notice that self-storage is on that list. So, you might not want to stop with just buying one mini-storage unit. The best part? You could write the building off on your business taxes next year! What ideas do you have for your steel building project? Let’s start planning for the smartest way to use your tax refund. Contact our team today.